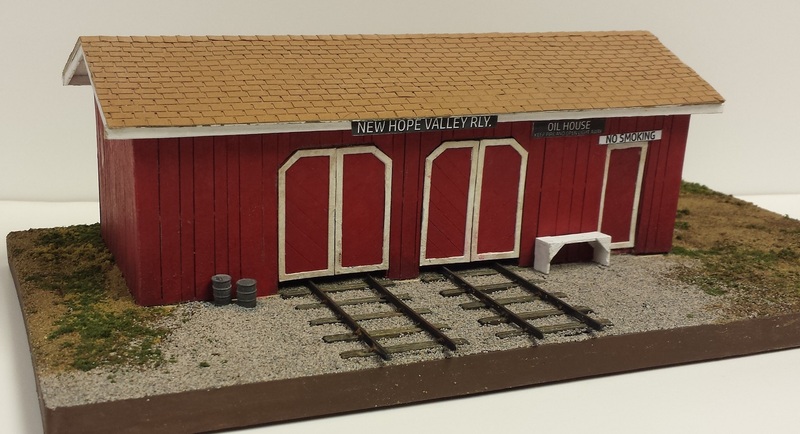 A Speeder Shed is a common model railroad structure, but this prototype has unique character. It has two rail spurs leading into the shed and also provides oil storage. The prototype stands in central North Carolina, and can make for a unique structure on your model railroad. Kit includes: laser-cut wall, roof, floor, & doors; laser-cut asphalt shingles; stripwood; metal detail casting; board-on-board over shell construction.